There’s not much we love more than when reality stars give us a glimpse into their real real lives. Praise hands for social media, which allows that to happen pretty much on the daily. Double the praise hands if that glimpse into the real lives of a reality star includes a sweet, sappy birthday message to a significant other, because TBH, we’re huge suckers for those too. 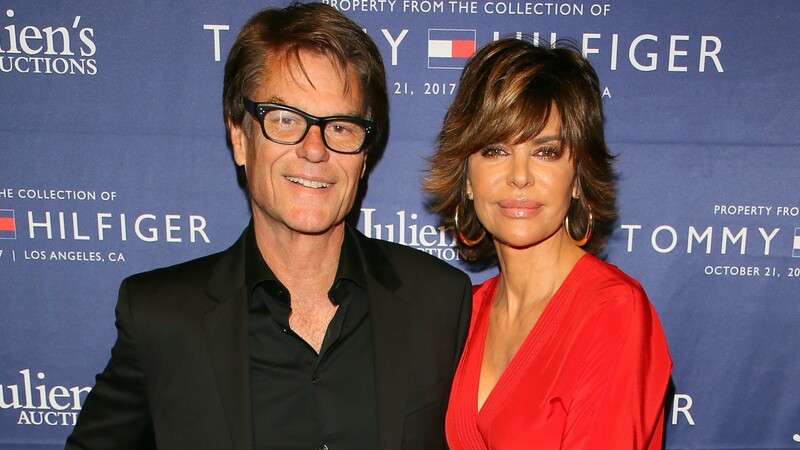 Lisa Rinna, one of the longest-running stars of The Real Housewives of Beverly Hills, just hit both of those criteria with a birthday post she made on Instagram for husband Harry Hamlin’s 66th birthday. Happy Birthday Harry Hamlin! Love of my Life. ♥️ Man of my dreams. I’d be lost without you baby. The next pic was a still of Hamlin as Perseus in his 1981 film, Clash of the Titans. In the caption, Rinna wrote, “Birthday Stud,” along with a heart emoji. In the third post, Hamlin is cuddling a snake, and in the caption, Rinna only wrote, “Daddy,” with a bunch of birthday-related emojis. We’re just going to pretend that’s in reference to the two teenage daughters they share. Can every reality star celebrate birthdays this way, please? That would be just super.